BIG-BODIED Adelaide midfielder Cam Ellis-Yolmen heads the list of candidates keen to fill the gap in the Crows' engine room left by Jarryd Lyons' departure to Gold Coast. Having missed out on securing Carlton star Bryce Gibbs and Suns recruit Michael Barlow, the Crows are looking from within to bolster their on-ball division. Ellis-Yolmen, 23, played just two games last season for a total of 14 appearances in five years. Adelaide's head of football Brett Burton said Ellis-Yolmen would be at the front of the queue, with Charlie Cameron, Wayne Milera, Harrison Wigg and Paul Seedsman also in the mix. "Cam Ellis-Yolmen, through a lack of opportunity due to our injury rate this year, immediately gets an opportunity to throw his name up with Jarryd Lyons leaving," Burton said. "I think we saw Charlie Cameron really play a good finals series and he played some time on the wing. "Wayne Milera … has the capability from a tank point of view, but also from a skillset point of view to step up into the midfield. "There's plenty of scope for guys to step up and take the opportunity and we're definitely excited by who we've got on the list." Cameron was among Adelaide's best when pushed further up the ground in its semi-final loss to Sydney. Milera – last year's No.11 overall draft pick – played the majority of his eight games in the forward line. Wigg has spent the past two seasons on the Crows' list, making the transition from defence into the midfield at SANFL level. 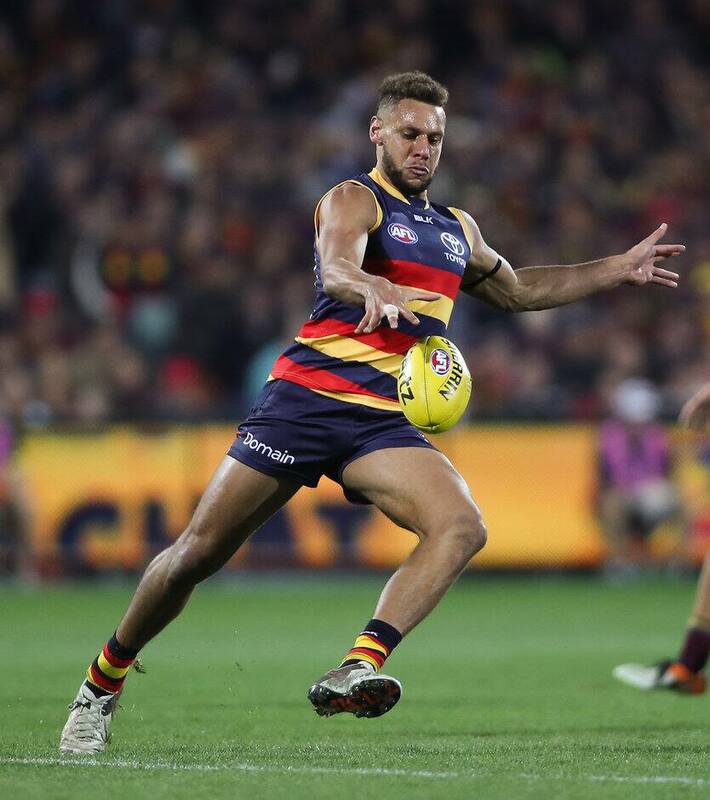 The Crows looked into adding Barlow before the former Fremantle midfielder signed with the Suns as a delisted free agent. "We had preliminary discussions with Michael and that's pretty much where it ended," Burton said. "Just preliminary discussions with him and his decision was to go to the Gold Coast. "Any time a player flags the possibility of going to South Australia, clearly you will entertain those discussions, but it really was preliminary and didn't go further than that." The Crows can also bolster their midfield through the NAB AFL Draft, with their first selection at No.13 overall. "Our long-held philosophy has been to trade for need and to draft for talent," Burton said. "We'll go to the draft and pick the best player there, whether it's a midfielder, forward or defender. "History shows you can pick the best player whatever area they come from … so our philosophy is to pick the best talent there."